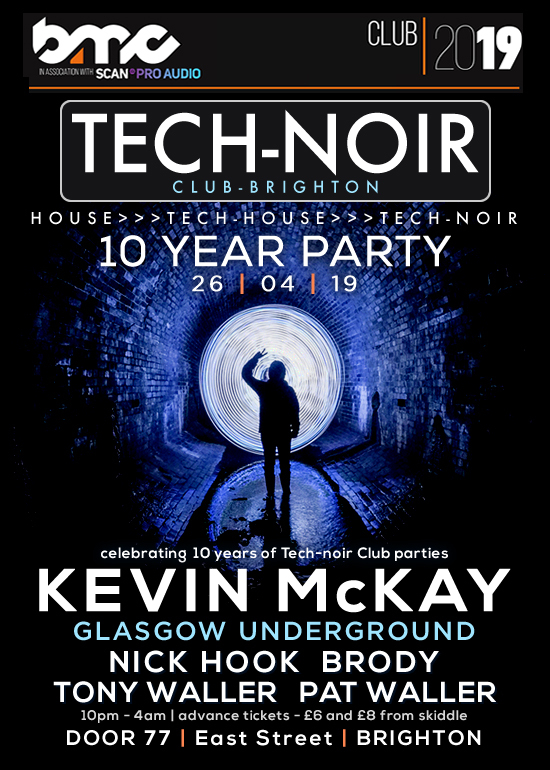 TECH-NOIR 10 Year Party – Friday 26th of April 2019 at Door 77 in Brighton, with DJs NICK HOOK, Kevin McKay, Brody, Tony Waller, and Pat Waller. 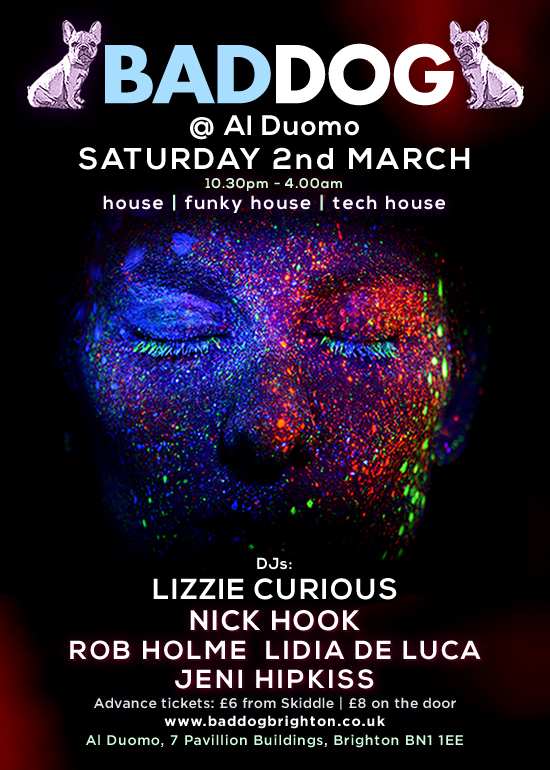 BAD DOG Club – Saturday 2nd of March 2019 at Al Duomo in Brighton, with DJs NICK HOOK, Lizzie Curious, Rob Holme, Lidia De Luca and Jeni Hipkiss. 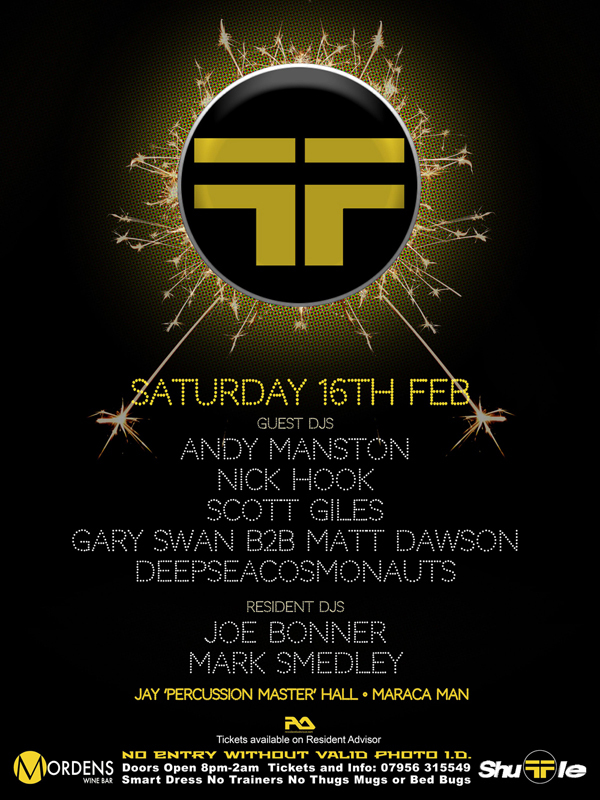 SHUFFLE – Saturday 16th of February 2019 at Mordens in Blackheath, London, with DJs NICK HOOK, Andy Manston, Joe Bonner, Mark Smedley, Gary Swan, Matt Dawson and Scott Giles. 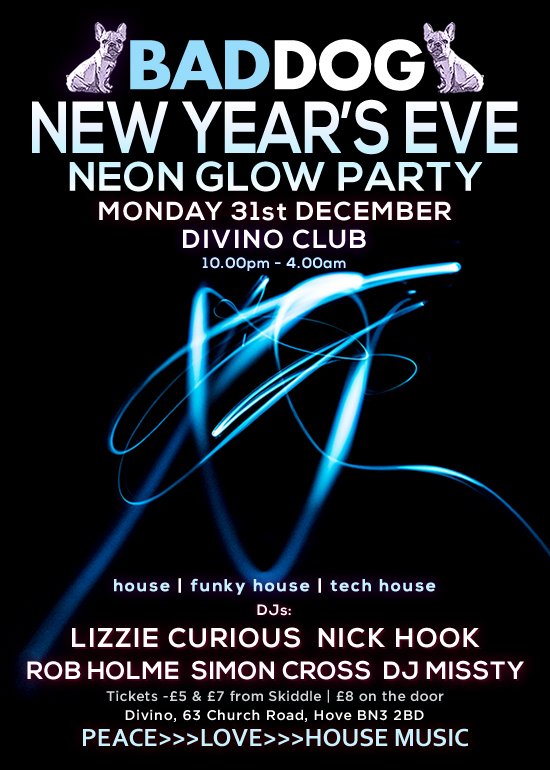 BAD DOG Club New Year’s Eve Neon Glow Party – Monday 31st of December 2018 at Divino Club in Hove, with DJs NICK HOOK, Lizzie Curious, Rob Holme, Simon Cross and DJ MissTy. 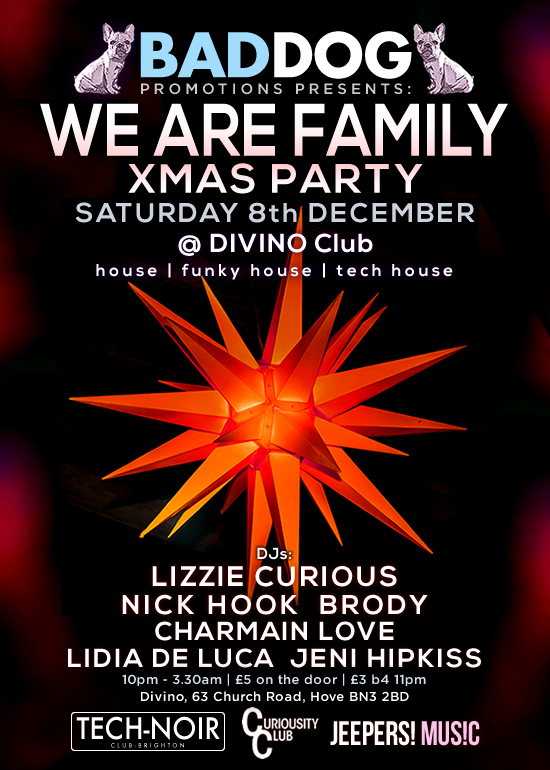 WE ARE FAMILY Xmas Party – Saturday 8th of December at Divino Club in Hove, with DJs NICK HOOK, Lizzie Curious, Brody, Charmain Love, Jeni Hipkiss and Lidia De Luca. 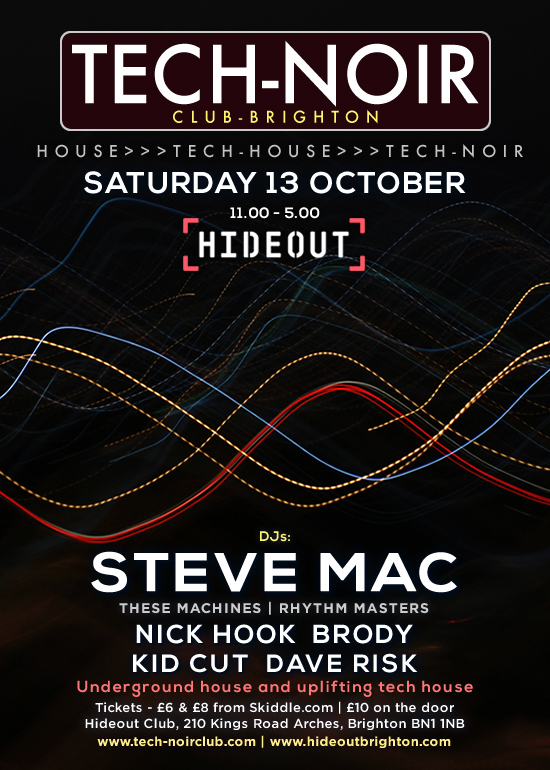 TECH-NOIR Club – Saturday 13th of October at HIDEOUT Club in Brighton, with DJs NICK HOOK, Steve Mac, Brody, Kid Cut and Dave Risk. BAD DOG & JEEPERS! 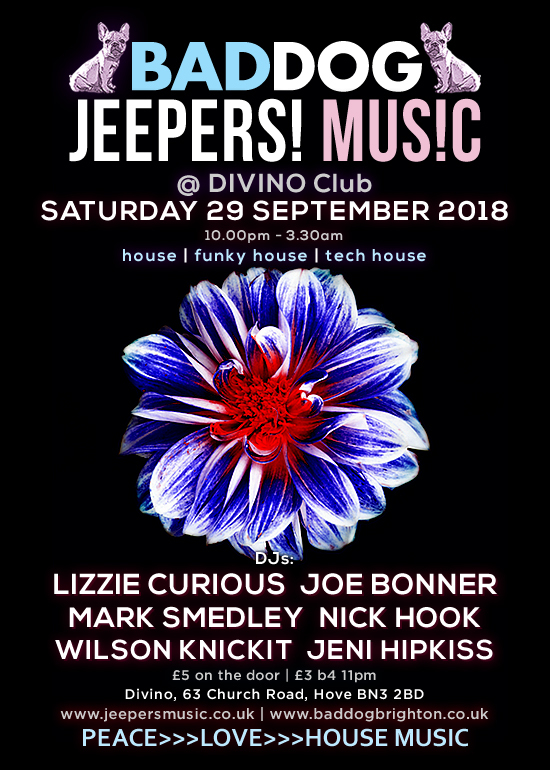 – Saturday 29th of September at Divino in Hove, with DJs NICK HOOK, Lizzie Curious, Joe Bonner, Mark Smedley, Wilson Knickit and Jeni Hipkiss . 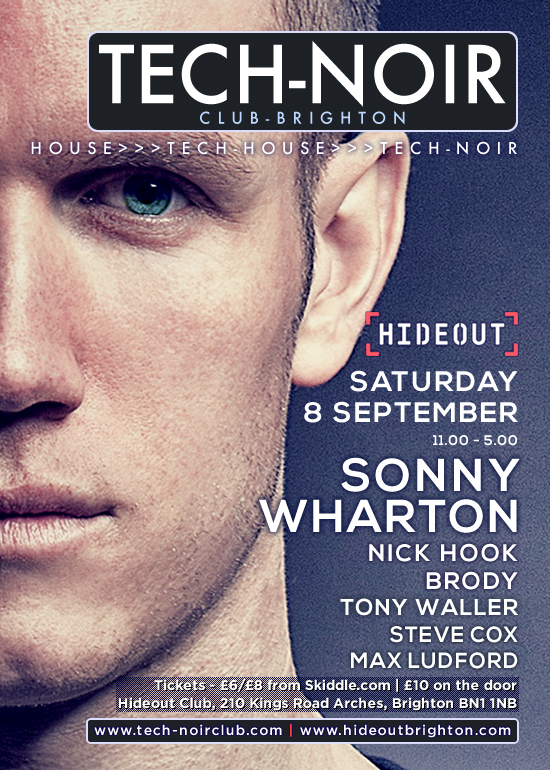 TECH-NOIR Club – Saturday 8th of September at HIDEOUT Club in Brighton, with DJs NICK HOOK, Sonny Wharton, Brody, Tony Waller, Max Ludford, Steve Cox. 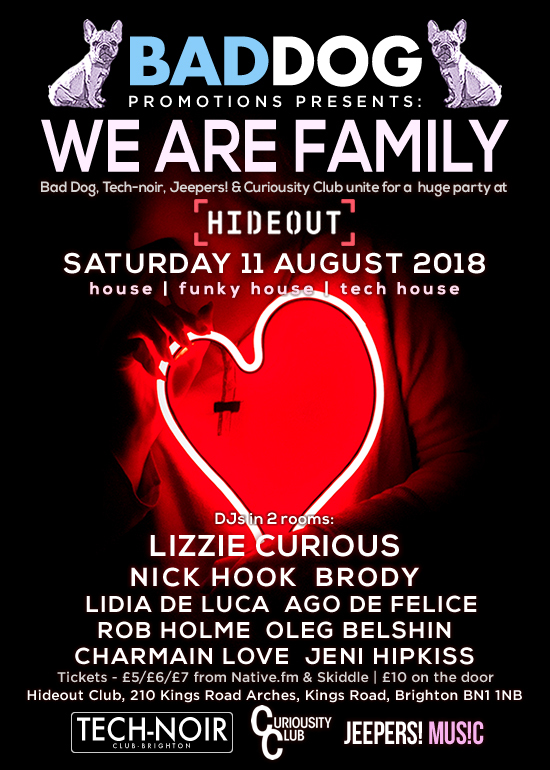 BAD DOG Club presents WE ARE FAMILY – Saturday 11th of August at HIDEOUT Club in Brighton, with DJs NICK HOOK, Lizzie Curious, Brody, Lidia De Luca, Jeni Hipkiss, Charmain Love, Oleg Belshin, Ago De Felice and Rob Holme. 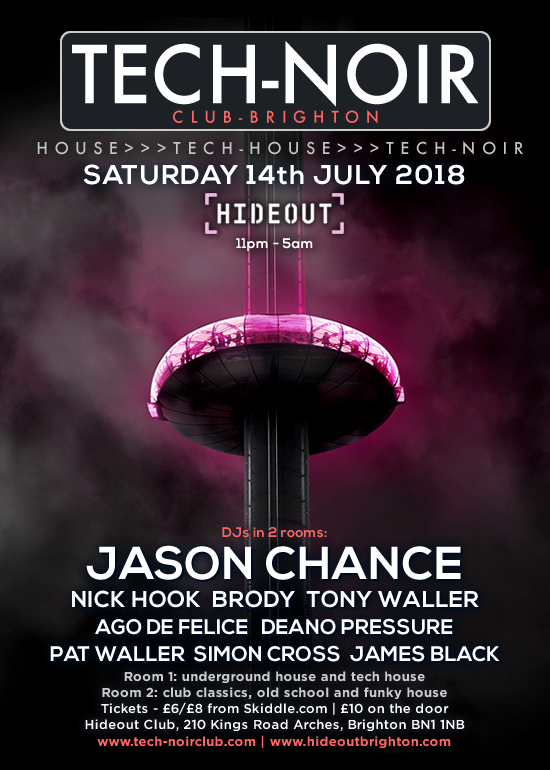 TECH-NOIR Club – Saturday 14th of July at HIDEOUT Club in Brighton, with DJs NICK HOOK, Jason Chance, Brody, Tony Waller, Pat Waller, Simon Cross, Deano Pressure, Ago De Felice and James Black. 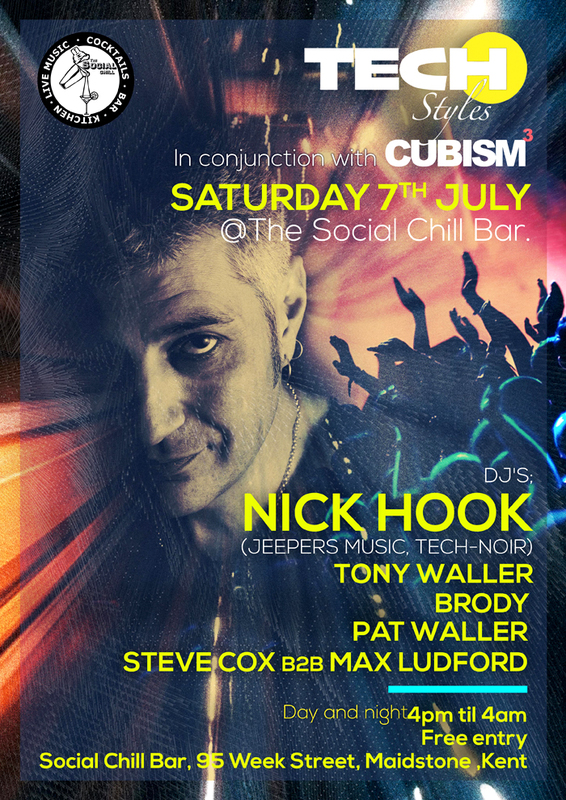 TECH STYLES – Saturday 7th of July at Socail Chill Bar in Maidstone, with DJs NICK HOOK, Tony Waller, Brody, Pat Waller, Steve Cox and Max Ludford. 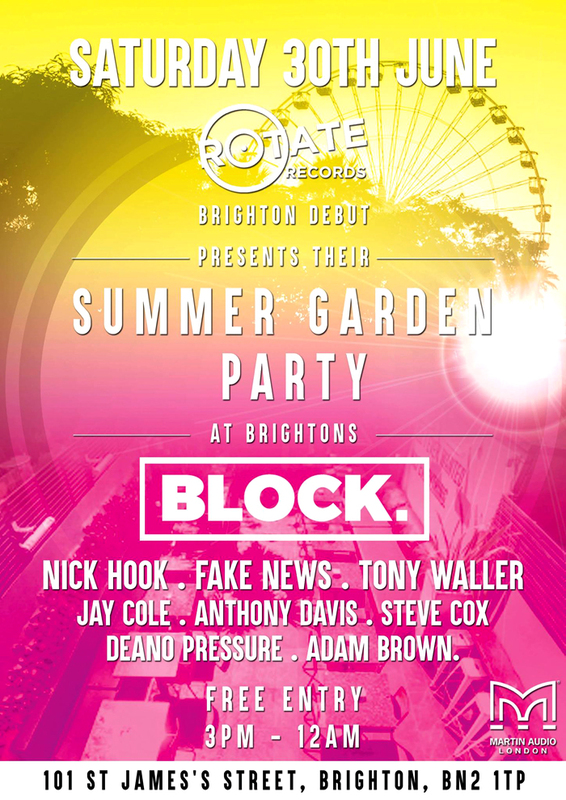 Rotate Records party – Saturday 30th of June at BLOCK in Brighton, with DJs NICK HOOK, Tony Waller, Jay Cole, Steve Cox, Deano Pressure and more. 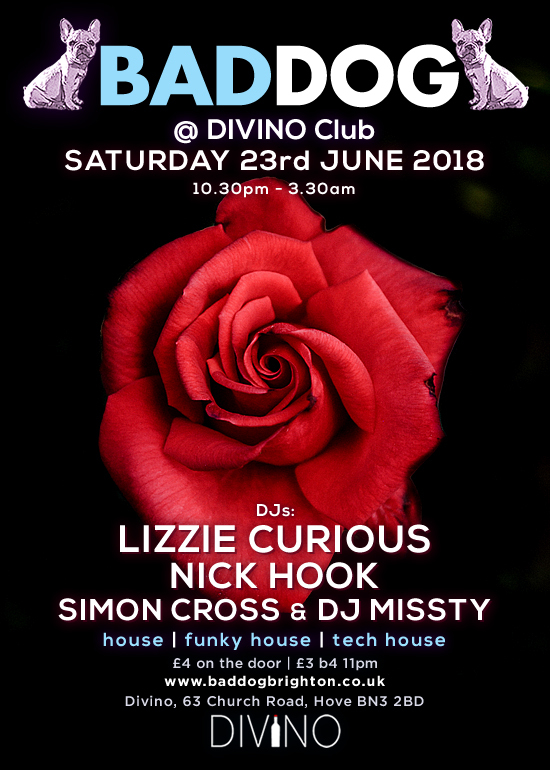 BAD DOG Club – Saturday 23rd of June at Divino in Hove, with DJs NICK HOOK, Lizzie Curious, Simon Cross and DJ MissTy .